When I came to power in 1989, people welcomed the new government because the economic situation was very bad, and Sudan had no means to defend its borders and cities from the rebel groups and terrorists. We faced almost laughable situations given that we had no resources for the daily workings of the country; our budget was practically zero. Our first challenge was to change the culture of the people and the way of thinking, in terms of attitudes towards production and productivity. We persuaded people to work to their maximum ability, with no return on income. We knew that Africa would wake up one day, and start standing on its own two feet. And so, we created mottoes to encourage the nation to begin a new era — the era of real independence, the revolution of salvation (“thawrat al inqaz”). The most famous motto that we’ve used to date is: “Eating from what we plant, wearing what we manufacture”. And we have even built our strategies and policies around similarly valuable mottoes and slogans with a clear vision of the future and the clear aims and goals we want our nation to achieve. Hundreds of thousands of locals have been inspired by our mottoes since we created them, and we have started a revolution in all aspects of life in Sudan. Any comparison of images back then and now will show the positively huge difference we’ve made through the years, in particular in infrastructure, the health sector, education, women’s empowerment, tourism and the petroleum industry. Despite the war waged against the rebels in the southern states of the country before signing the Comprehensive Peace Agreement (CPA) in 2005, Sudan at one point managed to reach a growth rate of 13%. Our motto creation had inspired a lot of Africans, and that threatened many multinational companies that exported to Africa. Of course, the local import rate dropped in the continent. So we faced continuous, unfair pressure and unjust embargo from the US, which made our people suffer from the choice we had made to be truly independent. The US unilateral sanctions on Sudan were supposed to hinder us from improving and flourishing, and to force us to give up on the independence mottoes and policies that we had been adopting. But Sudan decided to hold its head high and head east, starting a lot of fruitful cooperation with eastern companies and banks, to finance our projects and execute them with honourable and respectful terms. Our country is a key player in the region, and unites the Arab world in Asia and Africa with the sub-Saharan African countries. We link these diverse cultures in order to maintain peace. Our country is still fighting terrorism in the region and cooperating with the international community effectively as the US has itself declared more than once, but is doing so with limited resources because of the unfair economic sanctions imposed upon us. Our country is still a key player in the region, however, and unites the Arab world in Asia and Africa with the sub-Saharan African countries. We link these diverse cultures and religions peacefully in a purposeful move towards maintaining peace in the region, despite false accusations from some organisations and manipulative reports. Sudan continues to attract investment from the Gulf countries, Turkey and China, and is looking for further cooperation with the Western world in terms of trade, agriculture, industry, mining and many other fields, for the benefit of all parties. We ask for no discrimination against our country. 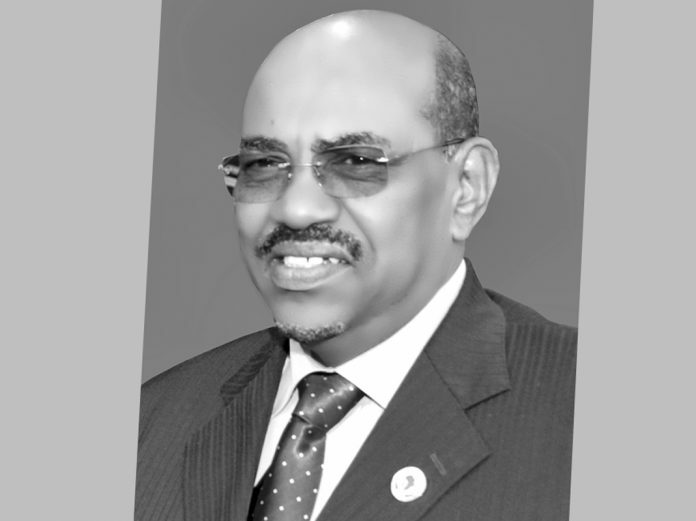 The Sudan of our times enjoys a new atmosphere of peace and development, which comes after having accomplished tribal agreements of peace in Darfur states, and after having invited the opposition parties and armed rebels for a National Dialogue. This will reflect positively in the Sudanese economy, especially when the unlawful and awful unilateral sanctions are lifted off Sudanese people’s shoulders. Luckily, Sudan has great, growing and promising relations with its African neighbours, and all of the African countries constituting the African Union. We are opening our gates for investors or financiers from Europe or the US who are interested in discovering a new world of opportunities on Sudanese soil. We send our greetings and invitations to all who want to visit Sudan for the benefit of the nations and economies of the whole world. Our country is open to anyone who wants to come and find the truth with his or her own eyes, and to discover the treasures of Sudan. Let us all work together for one united world. Given that global threats are challenging for all of us, let’s work together to make it a better world.